Luxurious 5 bedroom chalet with sauna, Jacuzzi, spacious gardens and separate ski locker room. Near UNESCO world heritage site, in the High Alps, France. Sleeps 14 for skiing and summer holidays. 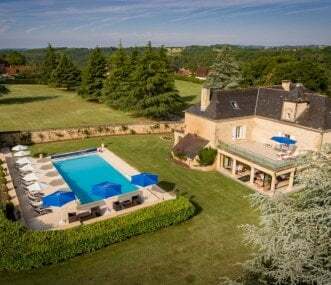 La Tourelle is a tastefully furnished French maison de maitre with a large pool and decked terrace in seven acres of its own grounds. It is situated in the stunning lake region of the Haut Languedoc. 2 luxury barn conversions, heated swimming pool, a games room and large grounds. In the heart of rural France, and yet close to many attractions, it is the perfect base for a family holiday. 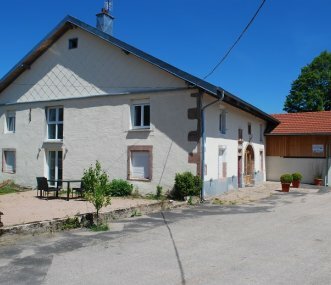 3 luxury gites on the edge of the Vosges mountains for holidays at your own pace. Indoor pool, sauna and steam room. Sleeps 18, with wheelchair access. Ideal for skiing and summer breaks. 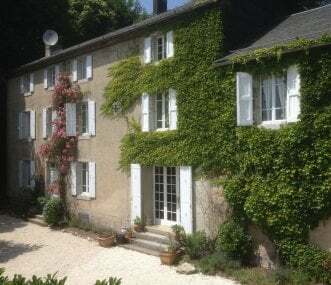 La Maison du Chateau (an 18th century manor house) and the Gate House are available to let for group or family holidays and can sleep 4-20 people comfortably. 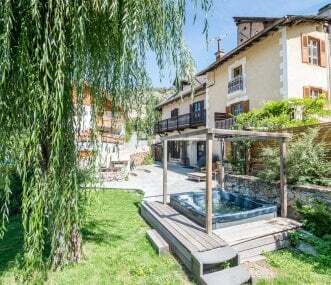 Welcome to Manzac d'en Bas - traditional, luxury holiday 'gites' sleeping up to 18 people, with a swimming pool, set in spectacular and peaceful Pyrenean countryside south of Toulouse, SW France. 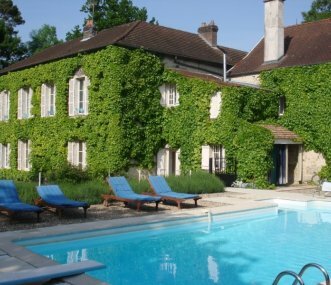 Fantastic 9 bedroom farmhouse with a private infinity pool and stunning panoramic views in the heart of the Vendée. This house is perfect for families and group bookings. Sleeps 20. Magnificent C18th 6 bedroom manor house with large heated private pool and sauna. Luxury 3 bedroom cottage next door with pool. Both have 5* rating. UK TV, air con, all bedrooms en suite. Near Sarlat. 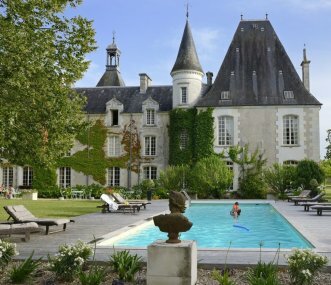 A delightful 18th century private chateau, located at Petit Bersac not far from Riberac and Aubeterre. Sleeps 22 between the chateau and cottage. Ideal for celebrations, weddings, corporate events.